It can’t be a coincidence that on the day Gini Wijnaldum was missing from the centre of Liverpool’s midfield, the Reds were involved in a game of chaos. It’s become the norm so far this season that the Reds are in complete control throughout the 90 minutes, but it was a return to previous seasons and end-to-end football at times against Crystal Palace. It was a really hard performance to assess overall, with lots of good attacking play but three goals conceded, but for many Reds fans, the fact Gini Wijnaldum was missing was telling. 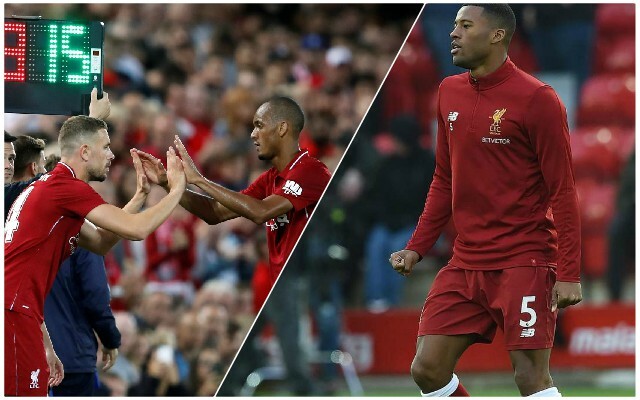 Both Jordan Henderson and Fabinho did quite well at times against Palace, but having Wijnaldum in there as well would have made it more solid, as these tweets suggested. Btw we don’t concede 3 if Wijnaldum plays..
That game really highlighted the importance of Gini Wijnaldum to this #LFC side. The Reds got the job done without Wijnaldum in the end, but the sooner he is back, the better. Sometimes it takes a player to be missing for a game for people to fully appreciate his role, and that appears to have been the case today.